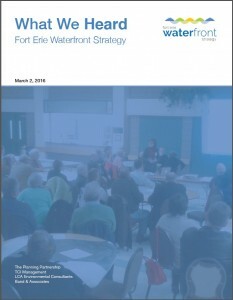 The Fort Erie Waterfront Strategy is being prepared through an open and collaborative process involving all those interested in participating. 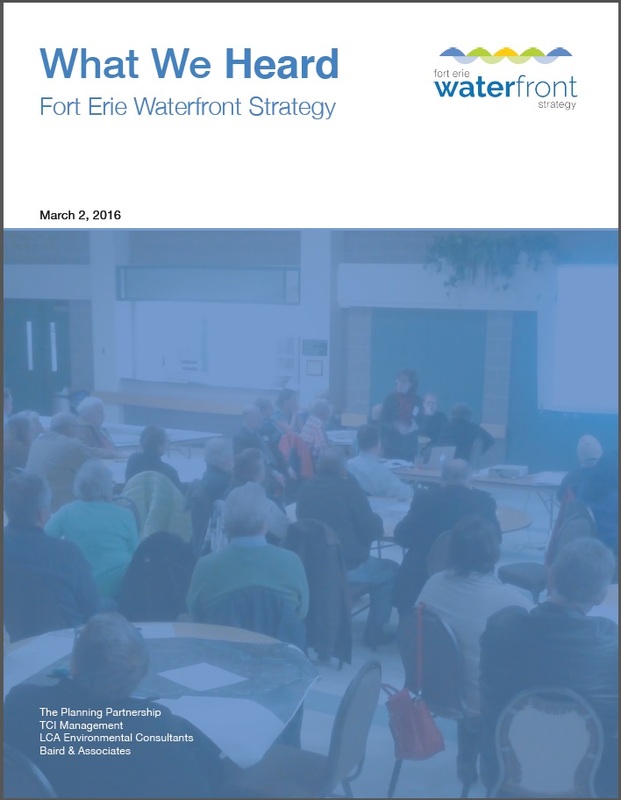 The consultant team has implemented a community consultation program to better understand the context and constraints for the Fort Erie Waterfront and the opportunities for moving forward. One-on-one interviews with members of the community took place on January 11th and the first community workshop took place on February 9th at the Fort Erie Leisureplex. The workshop consisted of three working sessions and a public workshop presentation with follow up table group discussions. Throughout the consultation process to date emailed input was acknowledged. This document summarizes “What We Heard” up to and including Community Workshop #1.